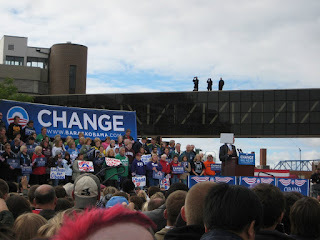 After waiting for four hours and then carefully choosing what I thought was a great place to stand, only about 100 feet from the podium. . . 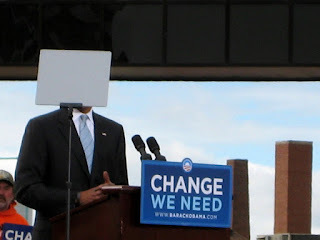 They put up his teleprompter. Still though, his voice was completely inspiring.